Iranian-Swedish artist Nadia Tehran’s debut album Dozakh: All Lovers Hell is due May 16 on YEAR0001. Produced and written by Tehran, the album is over a decade in the making with songs dating back to her childhood years singing in punk bands. Born in Jönköping, Sweden to immigrant Iranian parents, Tehran is a rebel by blood. Her father served on the frontline of the Iran-Iraq War. His stories of the revolution inform Tehran’s art and anarchist spirit. As a child Tehran started performing as her own form of rebellion. By 12 years old, she was singing in the only punk band in her small Christian town. 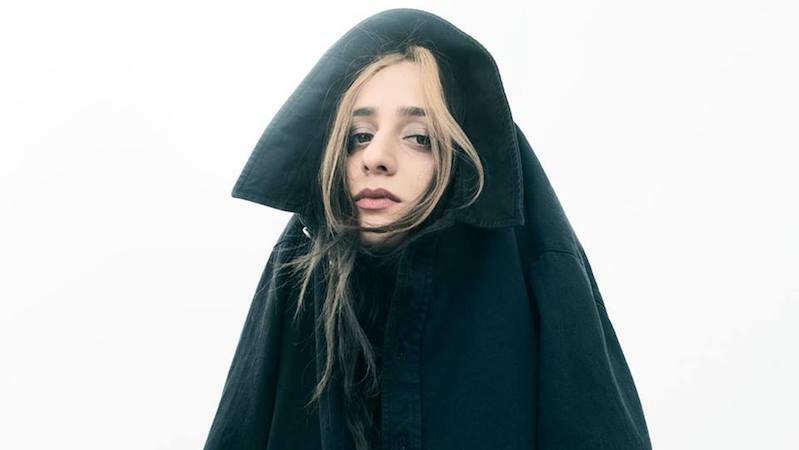 Tehran continued to gain notoriety within the underground Swedish scene, securing a place for herself as a solo artist on indie label YEAR0001 (Yung Lean, V**gra Boys). Her 2016 EP Life Is Cheap, Death Is Free released to critical acclaim with i-D Magazine calling it a “powerful statement on race and immigration.” Tehran has performed around the world at legendary Berlin nightclub Berghain, Sonar Festival, Chicago, New York and more. Dozakh: All Lovers Hell is Tehran’s first studio album.